(Photo courtesy of John Binder). "Rocky" or "Mr. Big"; a.k.a. 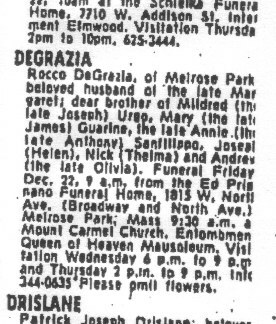 DeGrazio; in his later years affectionately called "Gramps" by younger gangsters. 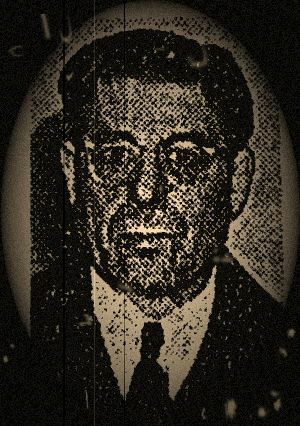 *Not to be confused with another man known as Rocco J. DeGrazia, also known as "Gumballs," who was an undertaker who had once been arrested with Sam "GolfBag" Hunt, and Anthony Accardo. He was low level and only associated with gangsters. 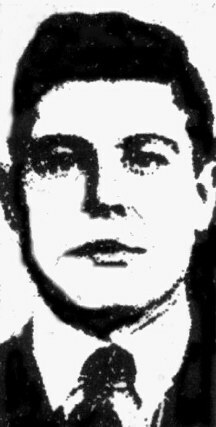 His brother was a police officer who was once seen travelling abroad with Anthony Accardo. Rocco in a police lineup. Capone gangster Rocco DeGrazia claimed to be 23 when he entered the U.S. and most newspapers accepted 1900 as his birth date. (Probably 1897). driving at high speed to a roadhouse, partly owned by DeGrazia, that had just been raided. handbooks in Melrose Park, for which he paid $1,200 a month protection. 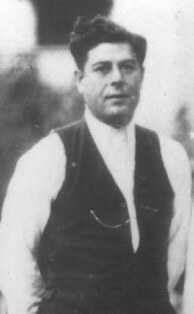 Rocco DeGrazia in 1935, during his arrest for income tax evasion. 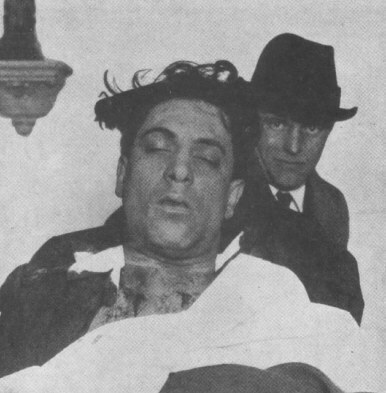 This photo was being challenged by a Capone relative as being the only last living photo of Frank Capone. I've supplied the Tribune story from which it came from as proof. Read about the challenge here. 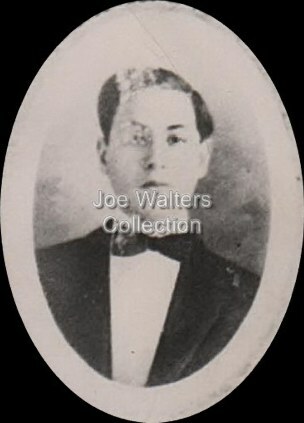 These are in fact the only known living and dead photos of Frank Capone. The first photo comes from the Capone monument in Mt. Olivet before it went missing. The second was taken in the morgue. 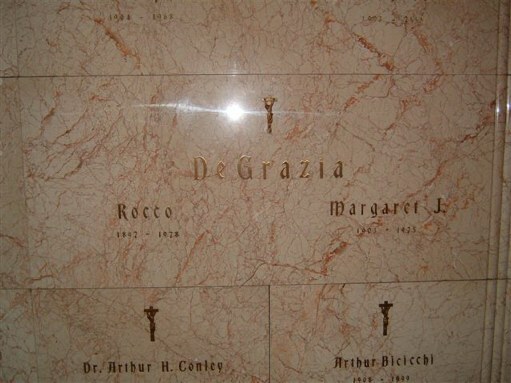 Rocco DeGrazia at Queen of Heaven cemetary. (Special thanks to Rick Mattix and Mari Abba for some of the info).